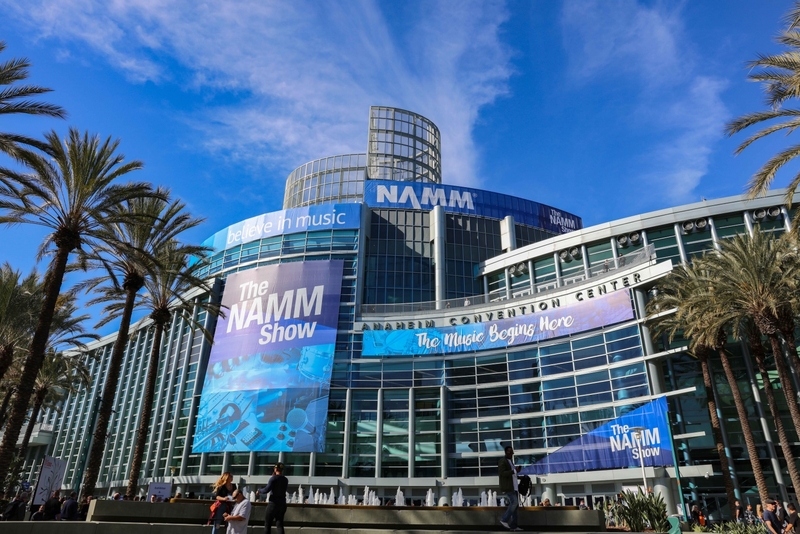 The 2019 NAMM Show last month saw over 100,000 attendees walk through the doors to see the latest in the intersection of music instruments and technology. This was my first time at the show and 4Wall's first time having a booth on the showroom floor. 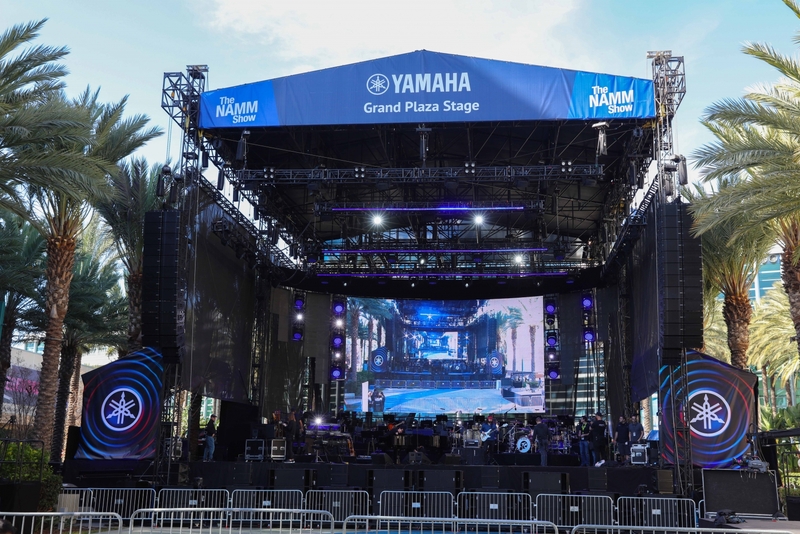 We also were commissioned by Yamaha to build the Grand Plaza Stage for their All-Star Concert and provided a significant amount of lighting and video gear. The event lighting and stage equipment manufacturers make up a small portion of the showroom floor inside the Anaheim Convention Center. There were maybe five or six lighting manufacturers at the show showcasing some of their newest fixtures which wasn't a bad thing at all. 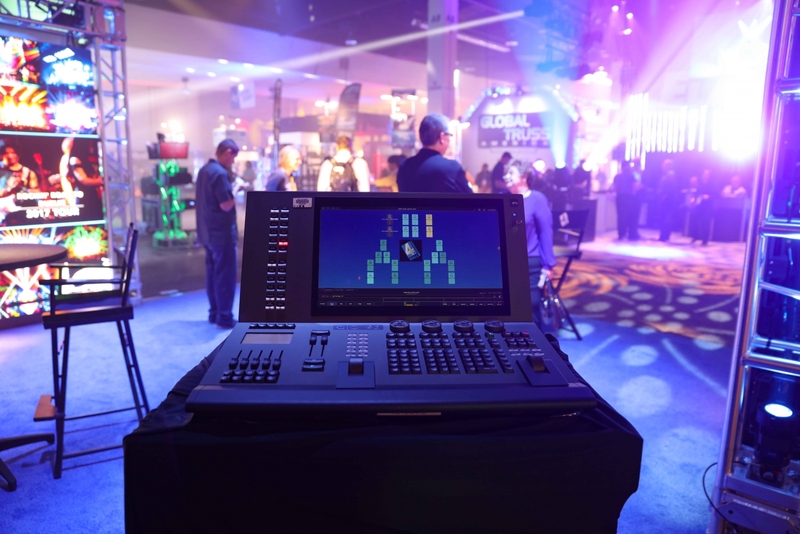 Usually at shows like LDI, the lighting booths are so packed you don't get to have 1 on 1 interaction with the gear and experts who are there to answer all your questions. While manning the 4Wall both for several days, I met a ton of people who were unfamiliar with 4Wall and UsedLighting.com but had a hand in lighting their church, small local bands, stages, and events. It was a great show to meet music enthusiasts who were not as exposed to our part of the industry and don't attend the industry-specific trade shows we normally attend. Below are 5 highlights from the show. If you've never been to the show before, I highly recommend checking it out. 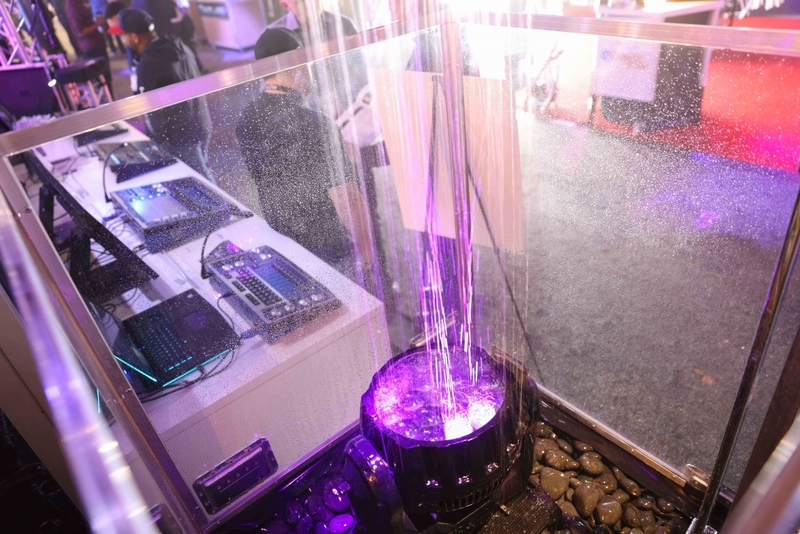 Chauvet's IP65-rated wash light was taking a shower the entire 4 days of NAMM showing it can withstand the harshest elements. The Storm 1 Wash features a compact and rugged die-cast aluminum housing built with marine grade stainless steel screws and produces an output of over 6,000 lumens. 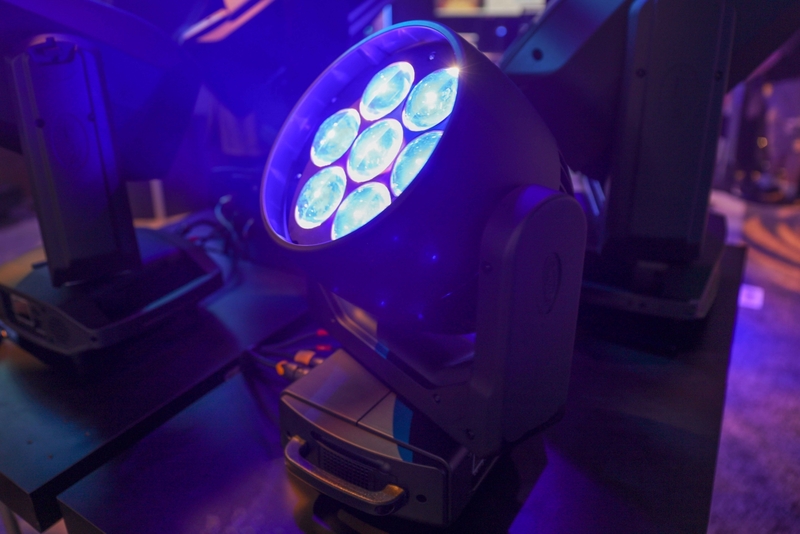 Sticking the IP65-Rated fixtures, Elation had their 3-in-1 hybrid moving light at the show. This beam, spot, and wash luminaire produces over 23,000 lumens and is perfect for any outdoor events or installations. 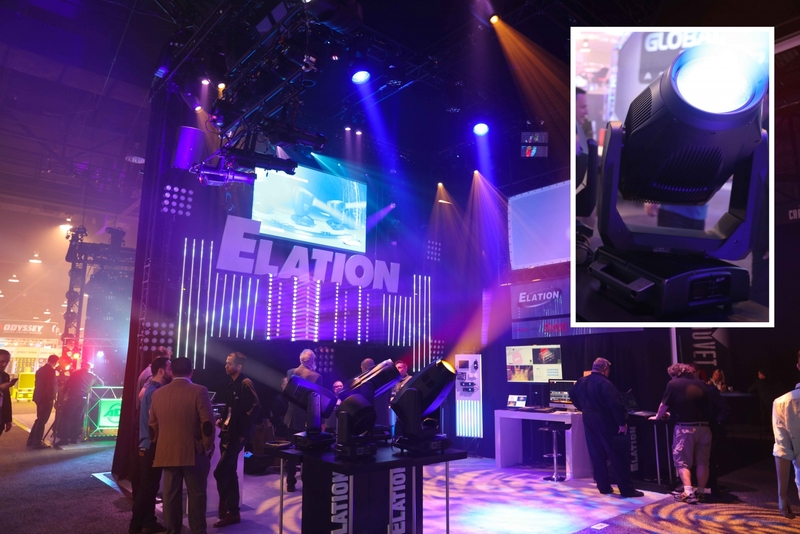 Elation's new RAZOR 760 was on display and this is an impressive little light that producers over 8,000 lumens and offers precise, continuous pan & tilt rotation. The fixture made its live event debut this past weekend during the Super Bowl's halftime show. Our ETC Gio @5 console was a highlight for me because I was surprised so many people at this show knew their way around a console! Dozens of people stopped at the console and played LD for a few minutes controlling the lighting we had set up at our booth. It was a great way to talk with people unfamiliar with 4Wall who told me they were at the show to check solely for musical instruments. The Yamaha Grand Plaza Stage exemplified what can happen when you bring all the elements at the NAMM Show can create. The 50' x 60' stage was hosted by Sinbad and saw memorable performances by Jon McLaughlin, Loren Allred, Jonathan Butler, Sarah McLachlan, James "J.T." Taylor. Everything from audio to video equipment to production and lighting design was exhibited at this stage.